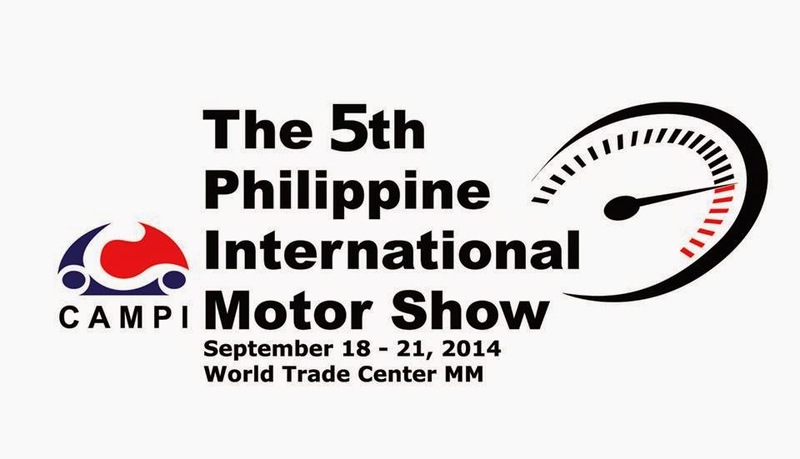 In celebration of the Philippine automotive industry’s exponential growth, the Chamber of Automotive Manufacturers of the Philippines Inc. (CAMPI), the country’s largest auto industry organization, gathers motoring industry players for the 5th Philippine International Motor Show (PIMS) happening on September 18-21, 2014 at the World Trade Center in Pasay City. Themed “Progress in Motion,” the country’s most authoritative car show serves as a platform to champion milestones and successes achieved by the local automotive industry. The event is not only a great avenue for unique motoring experience, but also to showcase fun-filled activities and exciting launches from the top car manufacturers and distributors in the country. Last September 2, CAMPI held a night of festivity in anticipation for the success of the 5th PIMS. This is one of CAMPI’s way of showing gratitude and appreciation to all partners and stakeholders for their continued support for the industry. The 5th PIMS is set to feature unique displays from the 17 participating brands namely BAIC, BMW, Daewoo, Honda, Isuzu, JEEP, JMC, Kia, Lexus, Mazda, Mercedes-Benz, Mitsubishi, Nissan, Peugeot, Suzuki, Toyota, and Volkswagen. An exciting new comer to the Philippine automotive industry, the BAIC brand will be launched in PIMS. They will exhibit their best offers including the A1 Hatchback, A1 Sedan, A5 Senova, MZ40 and X424. BMW prepared an exquisite display of the BMW X family featuring the new, third-generation BMW X3. Keep an eye for the latest BMW X model to join the premium mid-size segment, which the public will see for the first time in PIMS. Daewoo will present their Bus Concept for Public Transportation, Leisure/Travel and Special Vehicles. Kia will display the new color variants of Kia Picanto, as well as the two-toned variant of Kia Soul. They will also launch Team Kia, where they join forces with the country’s most loved sport, basketball. Meanwhile, Honda will reveal the smallest car in their product line, the All-New Honda Brio and Honda Brio Amaze. JEEP will demonstrate the remarkable off-road capabilities of the Grand Cherokee Wrangler Unlimited Rubicon and the new Cherokee Trailhawk. Lexus will bring NX, their first entry into the luxury compact crossover segment. It has been conceived under the development concept of “Premium Urban Sports Gear” as an edgy, emotional design intended to appeal to new customers who lead urban and active lifestyles. Mazda will showcase the 25th Anniversary Edition of the MX-5 while Mercedes-Benz will showcase their latest New Generation Compact Cars, which includes the A-Class, B-Class, and in its first public debut, the new CLA-Class. Mitsubishi will also introduce its latest vehicle innovations with two concept cars, the GR HEV and CA MIEV. Other models to watch out for are the Pajero Dakar Rally Car, 2015 Pajero and a preview of the All-New Outlander. Another anticipated launch in PIMS will be brought by Nissan with the All-New Nissan X-Trail and other icons, Almera, Sylphy, Altima and the Patrol Super Safari. Suzuki will put on the limelight its recently-launched units, the Swift 1.2 and the seven-seater Life Utility Vehicle, Ertiga, as well as their big bikes, while Toyota will excite the motoring enthusiasts with the Toyota Fun-vii (vehicle, interactive, Internet), a 3-seat electric concept car heavily inspired by smartphones today. It exhibits a massive LED-screen exterior allowing a personalized display. Volkswagen will bring its most iconic vehicle that has inspired countless stories all over the world, the Beetle, as well as the Jetta Sport Edition. Isuzu, JMC and Peugeot will also bring us their latest designs, technologies and exclusive offers. On top of the world-class motoring displays, the 5th PIMS will also feature the “Progress in Motion” Exhibit where 12 iconic vehicles will stretch across the main lobby of the World Trade Center to give visitors an overview of the local motoring history. For the first time, there will also be an After-Sales Exhibit that will showcase packages on vehicle upgrades, repair services, and quality genuine parts for different vehicle models, old and new. To reinforce CAMPI’s advocacies towards Road Safety, Environmental Protection, and Consumer Rights, the organization has also prepared Automotive Seminars and Workshops. Topics to be discussed include fuel-saving tips, anti-carjack measures and fool-proof guide for vehicle registration and driver’s license application. 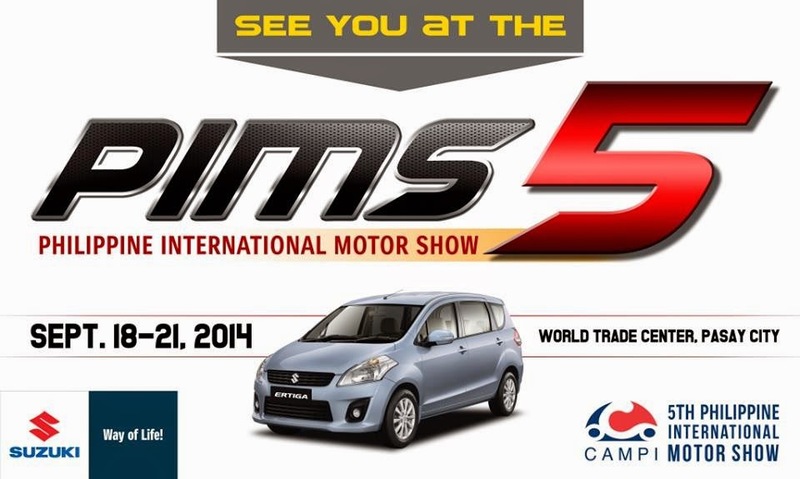 Affiliated organizations of the participating car brands will also hold Car Club Meets during the 5th PIMS. This encourages camaraderie among car enthusiasts while giving the public a spectacular display of customized vehicles. Shoppers will also get a chance to test drive different vehicle types and brands under one roof. Visitors need not hesitate to tag along their kids. The 5th PIMS has organized various family-friendly activities as well. The young and young-at-heart are sure to enjoy activities such as Pedal Go-Karts and Motoring-Inspired Games. Kids between six and twelve years old can enjoy the automotive-themed Treasure Hunt. There is also the Scale-Model Display. Attendees who want to know the geniuses behind some of the automotive industry’s best designs should not miss the Automotive Designers’ Photo Exhibit. Truly, this year’s Philippine International Motor Show will give the motoring public a one-of-a-kind experience that shouldn’t be missed. For more information, contact CAMPI office at (02) 632-9733.